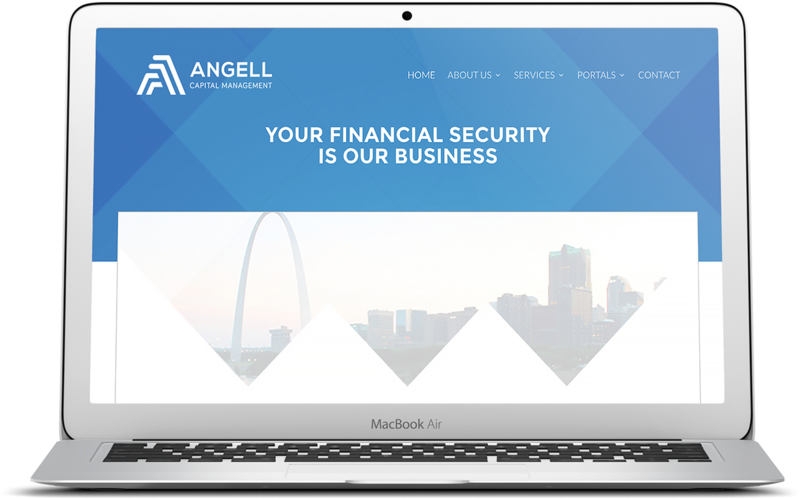 Based in St. Louis, Angell Capital Management approached Hub & looking for a fresh upgrade to its design, including a website and branding package. Angell Capital Management's original website and logo were horribly dated, screaming of 1990's. Their website was also from a template that many other financial advisors used, leading to an image that wasn't unique. After an upfront discovery process, Hub & Spoke was able to create a logo that was sleek and modern, with an emphasis on a unique "A" that represents the intersection of finance and security. From there, we worked to create a website that was visually appealing and mobile friendly, providing photography and content marketing services.